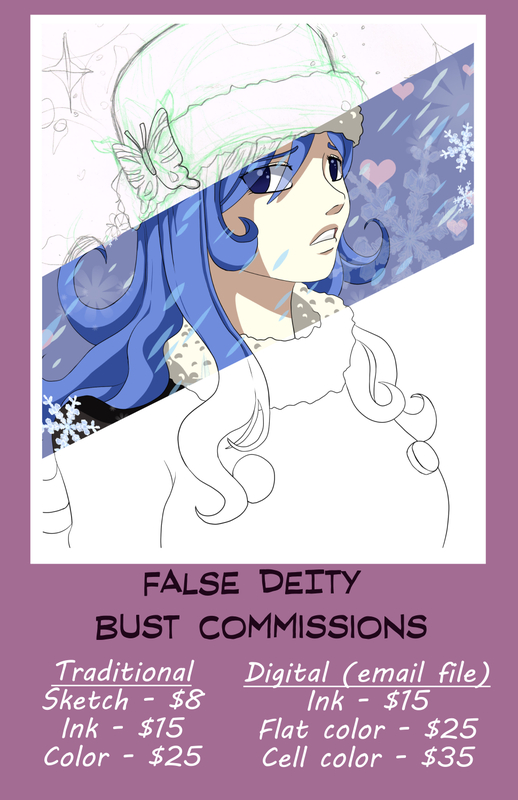 False Deity is offering commissions. You can choose from what is listed below, or contact me about any other commission questions. I use Square invoices for payment. This is a secure way to use a credit or debit card online, similar to PayPal. Payment is expected at the start of the commission. Payment plans are available for purchases over $150. I will draw original characters (ocs) with appropriate reference images or descriptions. 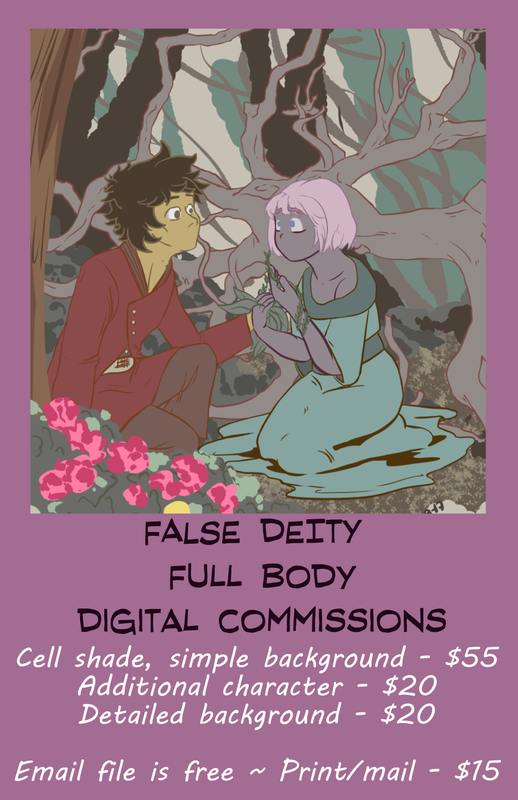 I will draw fandoms, furries, people, nature, and buildings. I especially love to draw anime. I will not draw heavy mechanical commissions. I will draw NSFW commissions. Contact me for more details in that regard. Full body commissions can range from 5×7″ to 11×17″. Prices are based on largest size and can be adjusted for smaller sizing requests. Bust commissions can range from sketchcard to 8.5×11″. Prices are based on middle size (5×7″) and can be adjusted for alternate sizing requests.